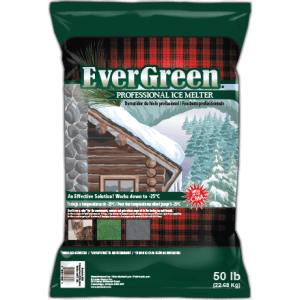 Home / What is the Right Ice Melt to Use? I have a concrete walkway that is beginning to show little divots that look like pock marks. 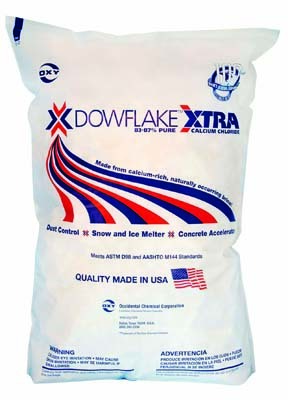 What sort of ice melting product is least damaging to my concrete? The pock marks are likely from rock salt deterioration on your concrete drive. It can be caused by using rock salt (sodium chloride) to melt ice on your drive, or can be transferred to your concrete from cars that have been on public roads. Road crews typically, and economically, treat our roads and highways with rock salt which is also highly corrosive to concrete. Sealing your concrete can retard or delay the concrete deterioration and minimize the ugly pock marks on the concrete. 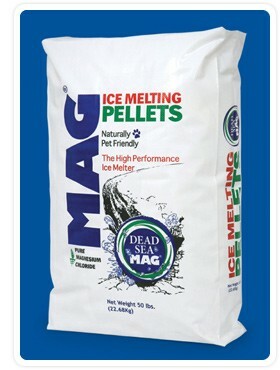 Good ice melt choices for concrete are Calcium Chloride and Magnesium Chloride. While Potassium Chloride is good for the environment it damages the concrete and typically costs 3-5 times more. Another good de-icer is CMA – or Calcium Magnesium Acetate – which doesn’t wash away as easily as the others and has a lower environmental impact. Normal bacteria will eat CMA so Mother Nature will clean up and control CMA contamination. These products undergo a chemical reaction that produces heat when they get wet, which controls the ice. These de-icers work at colder temperatures below zero degrees Fahrenheit. 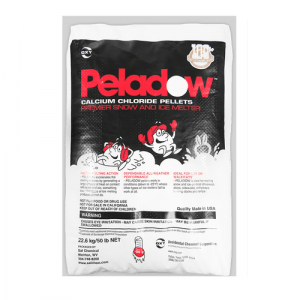 CMA, Calcium Chloride and Magnesium Chloride are most effective, with CMA being the longest lasting. Potassium Chloride and salt work at warmer temperatures above 20 degrees. All de-icers are best applied just before the snow falls, coating concrete surfaces to minimize the ice buildup. These de-icers will not melt large quantities of snow or ice that has already fallen – for that you will need to shovel.